Sid Dobrin is Professor and Chair of the Department of English at the University of Florida and Director of the Trace Innovation Initiative. He has also been known to occasionally teach a course about the Literature of Fishing. 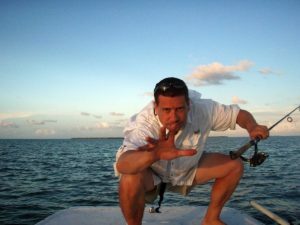 He has published more than sixteen books about writing, ecology, and technology, including Distance Casting: Words and Ways of the Saltwater Fishing Life. 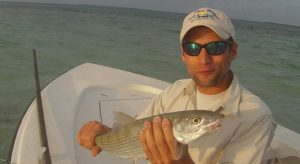 A former Field Editor with The Fisherman magazine, his writing about fishing has appeared in Saltwater Sportsman, Florida Sportsman, Extreme Kayak Angling Tournament Magazine, The Sport Fishing Report, and The Yale Angler’s Journal. An addicted saltwater angler for more than 40 years, a dive instructor and rescue diver, boat captain and guide, Dobrin is showing signs of growing gills.